Native to Europe, Asia, northern Africa, and Canary Islands. Introduced and widely naturalized in North America. Moderately dry to moist. 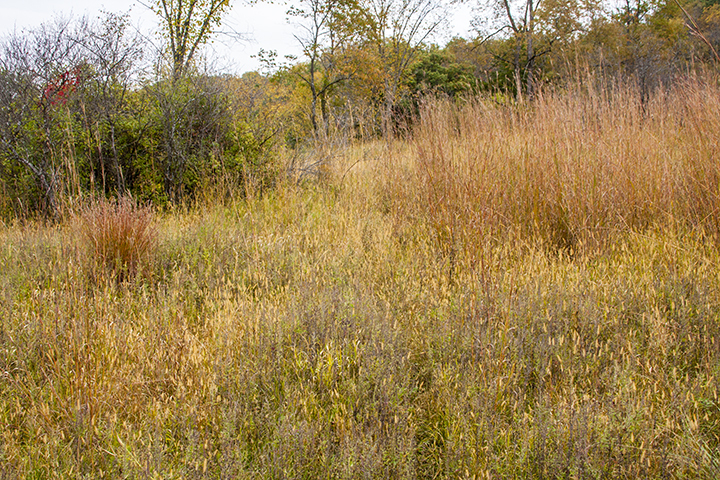 Forest margins, roadsides, cultivated fields, waste places, disturbed sites, and lawns. Full sun. The leaf sheath has a fringe of hairs on the margins. 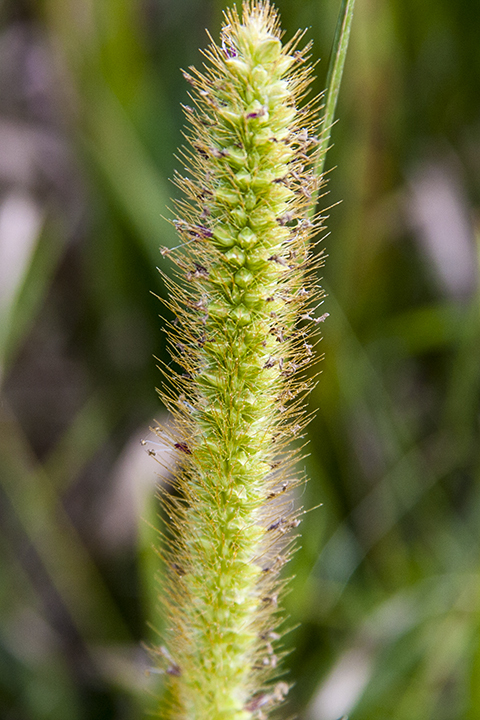 The inflorescense spike is usually straight, though longer spikes may be slightly arched. There are 4 to 12 bristles beneath each spikelet. 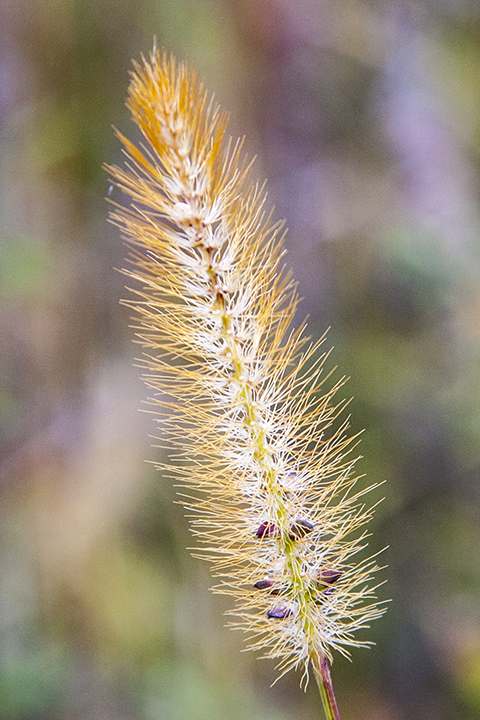 The bristles are yellow when young, turning yellowish-brown or orangish-brown (tawny) at maturity. They are never purple or purplish. 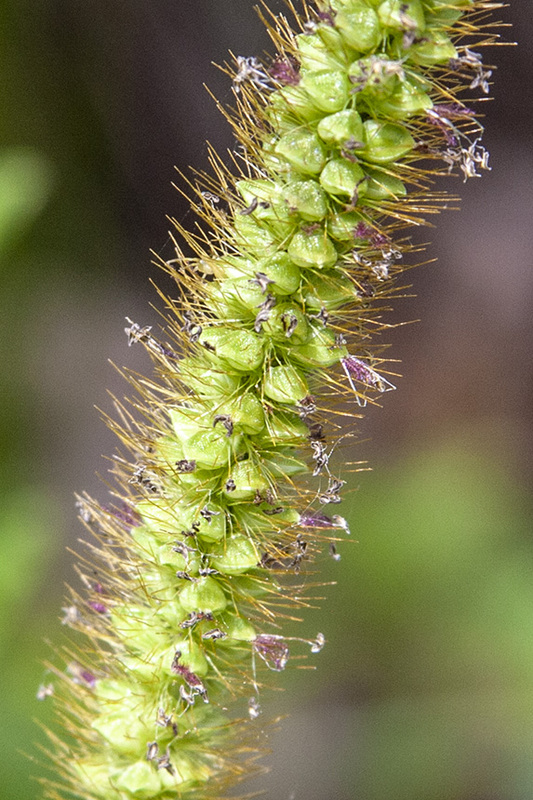 Green foxtail (Setaria viridis var. viridis) inflorescence spike is straight or nodding. There are 1 to 3 bristles per spikelet. The bristles are green or purple when young, turning purple or tawny at maturity. Sources: 2, 4, 5, 7, 22, 28, 29. This is one of the first plants to appear in disturbed sites. 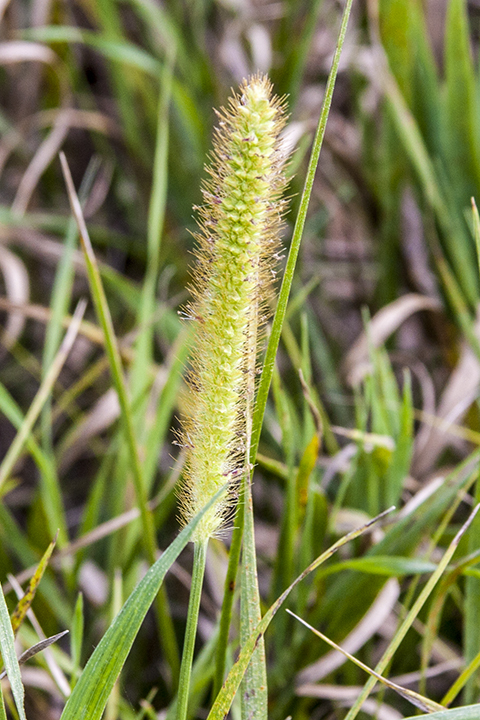 Most authorities recognize two subspecies, cattail grass (Setaria pumila ssp. 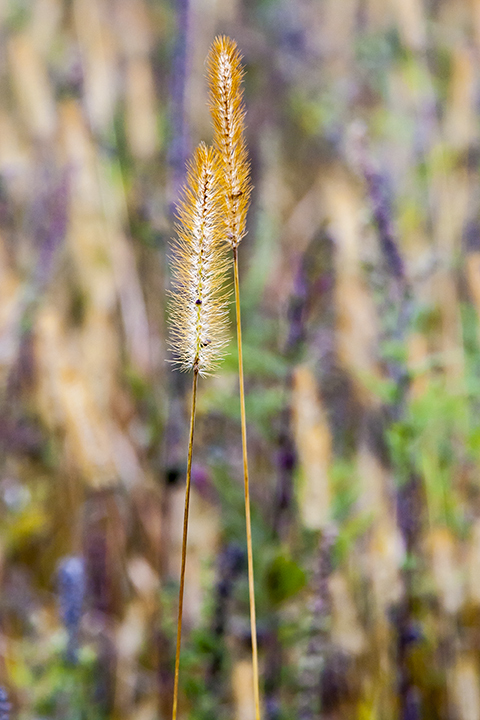 pallidefusca) and yellow foxtail (Setaria pumila ssp. pumila). 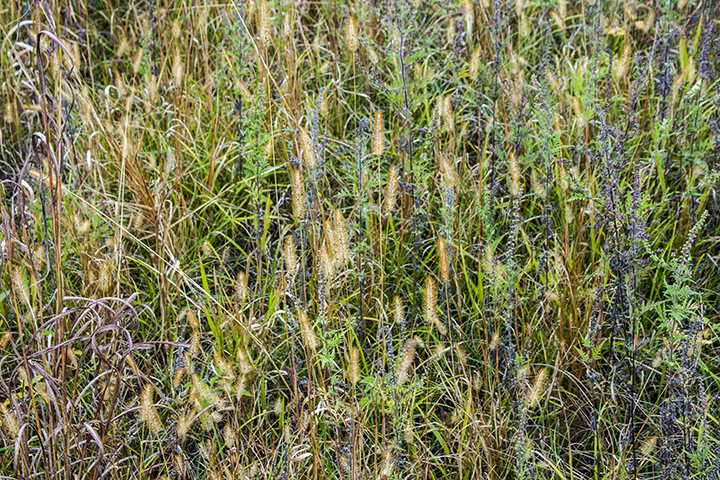 Yellow foxtail is naturalized in Minnesota. 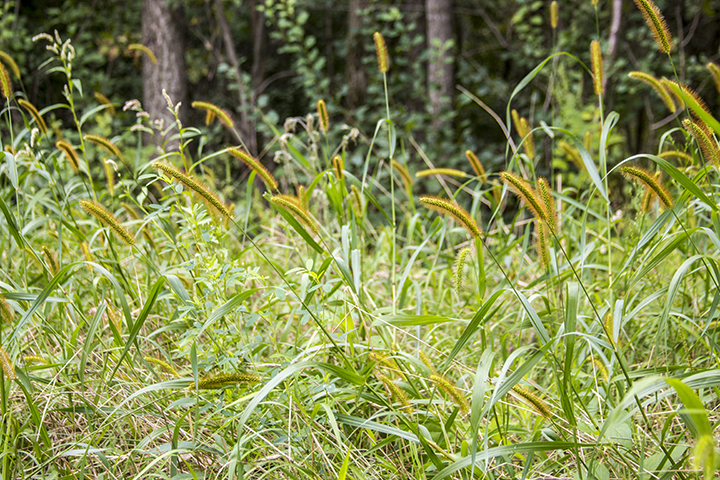 Cattail grass is rare in North America. In Minnesota, it has been reported at only one location in Anoka County. ITIS37 and the Catalogue of New World Grasses reject all subspecies but give no reason. 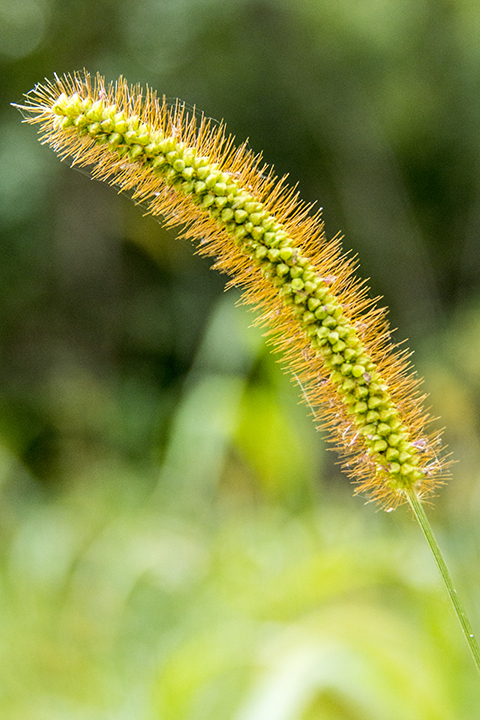 It's our Weed of the Week, Yellow Foxtail.